While there haven't been any unusual sighings lately at the wetlands, we still have been enjoying spending time with the regulars. Just after sunrise on a cold, windy morning, many of the birds were eager to soak up the warmth of the rising sun. Raptors have been plentiful on the past few visits. 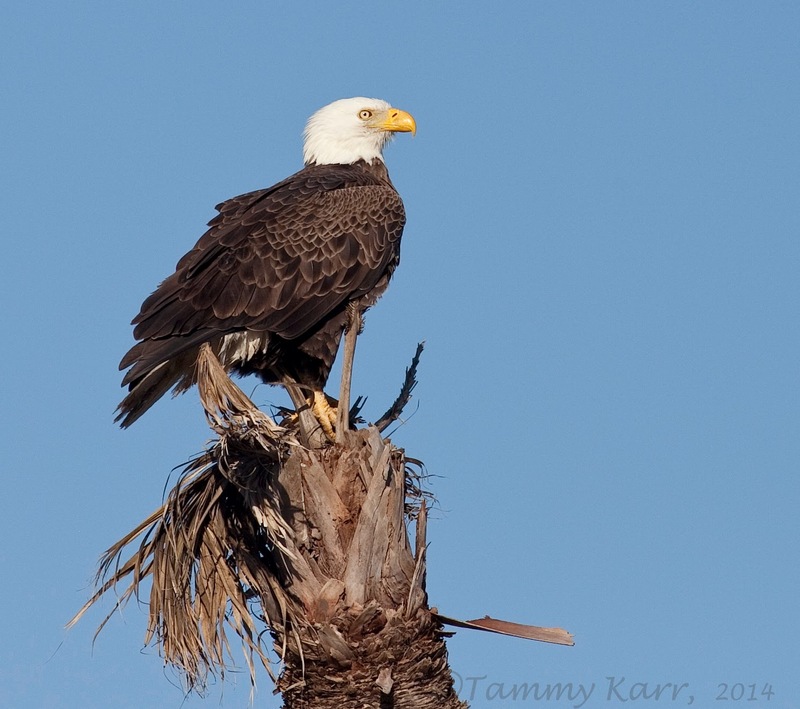 This Bald Eagle was scoping things out from a palm near the edge of the road. There was also a juvenile circling the ponds. Near by was a Northern Harrier having breakfast (my next post) and the eagle seemed to have an eye on them. The eagle made a few passes over the Harrier and its prey (a Coot) and I wondered if it was going to try and steal a meal but it didn't. 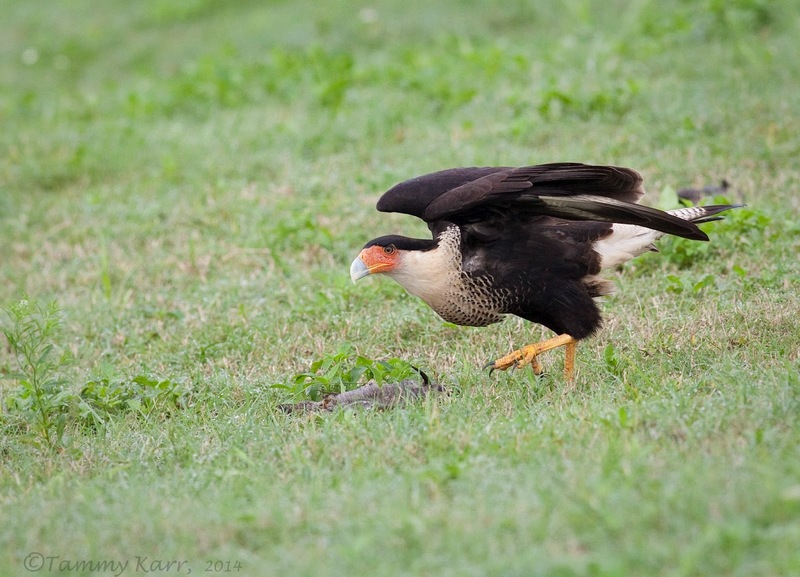 Another raptor that regularly passes by the wetlands is the Crested Caracara. This Caracara was snacking on a dead fish along 4-mile road (the road that leads to Moccasin Island Tract). 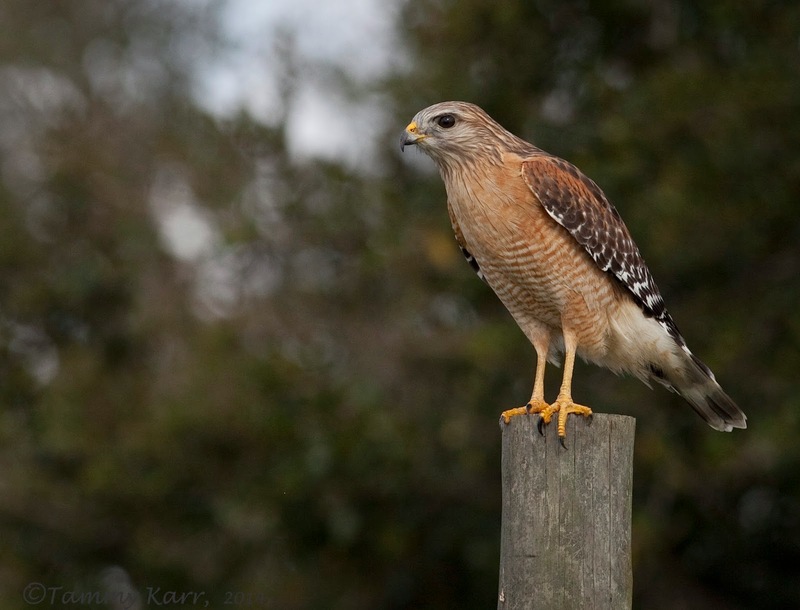 Lots of vocal Red-shouldered Hawks populate the area. Green Herons are one of the many heron species seen regularly. 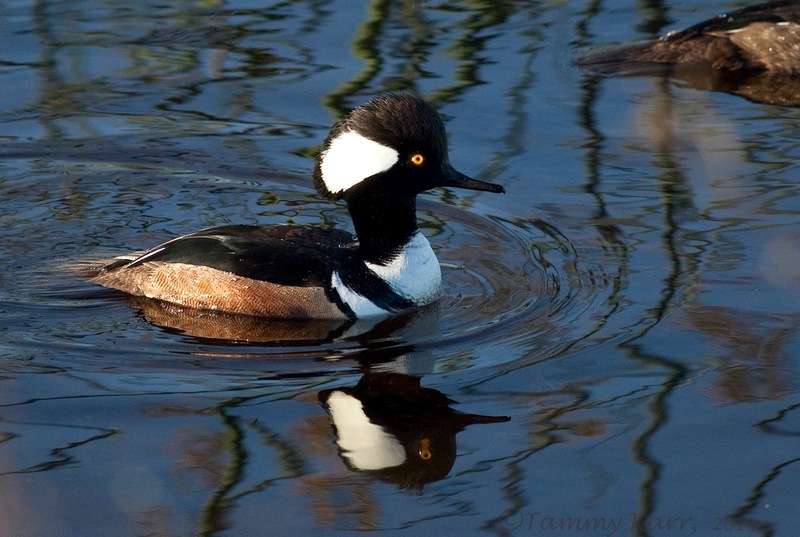 Several pairs of Hooded Mergansers are currently be-bopping around the wetlands. There has been an enormous group of Green-winged Teals at the ponds for the past few weeks along with several shore birds- Long and Short-billed Dowitchers, Yellowlegs, Dunlin, and Sandpipers. This week the water levels in the ponds are rising and the group seemed a bit smaller. I wish they weren't so far off...I would love to get a close up of one! There's no missing a Meadowlark! Seeing this gator hanging out in the waterfall made me laugh! My birding partner has stepped up his independence! Tammy, amazing captures and timing. 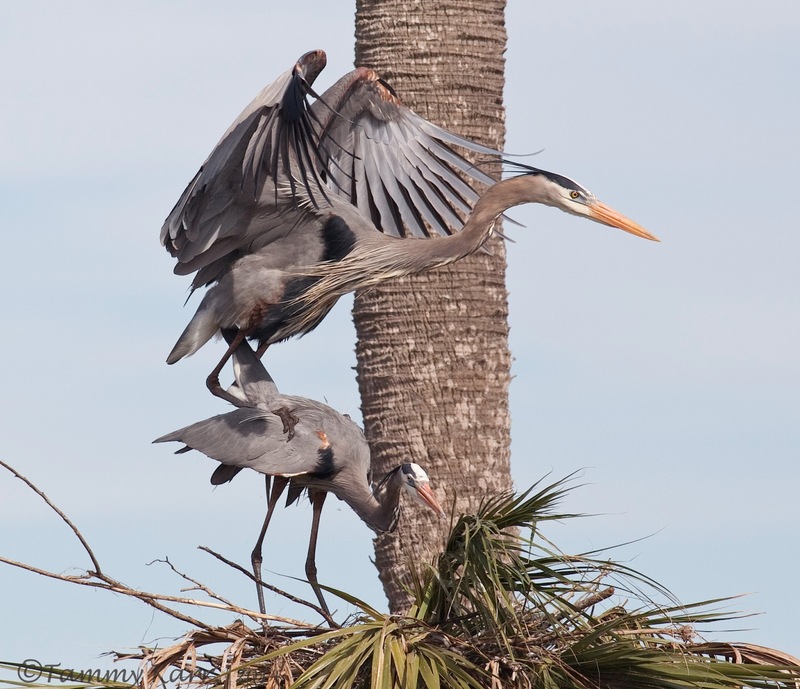 The herons are awesome. And I love the Eagle, Caracara and your cute birding partner. Wonderful post! Have a happy day! what fantastic images. your birding partner looks like he will lots of fun. Hi Tammy!!!.. Great series. Gorgeous pictures of this fantastic creatures.. Congrats.. Have a nice day.. The Baldie and Cara Cara are beautiful. as usual, great images! O wat heerlijk om daar te wonen in een gebied met zulke mooie vogels,je hebt er overigens wel een hele mooie serie van gemaakt. how cute is your growing boy! :) LOVE the first shot of the heron - just glorious light! the green-wings are such handsome ducks! love that you get to see a bald eagle AND a mexican eagle in your area! They are all so wonderful! Your images are just fantastic. 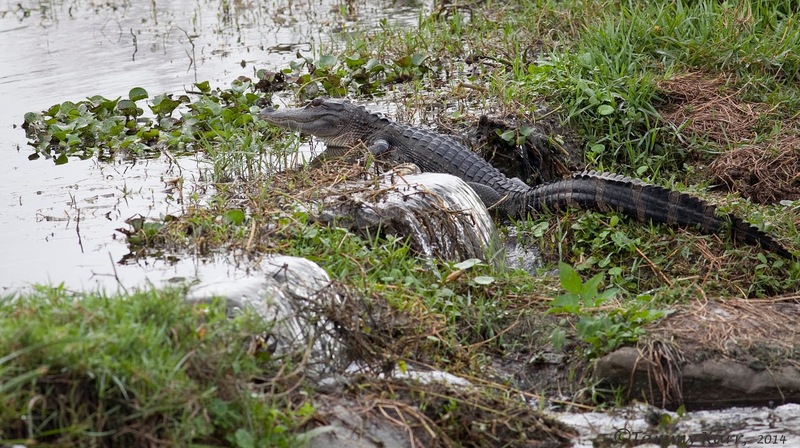 I love the alligator "swimming up stream." As usual Tammy, an excellent read and shots. 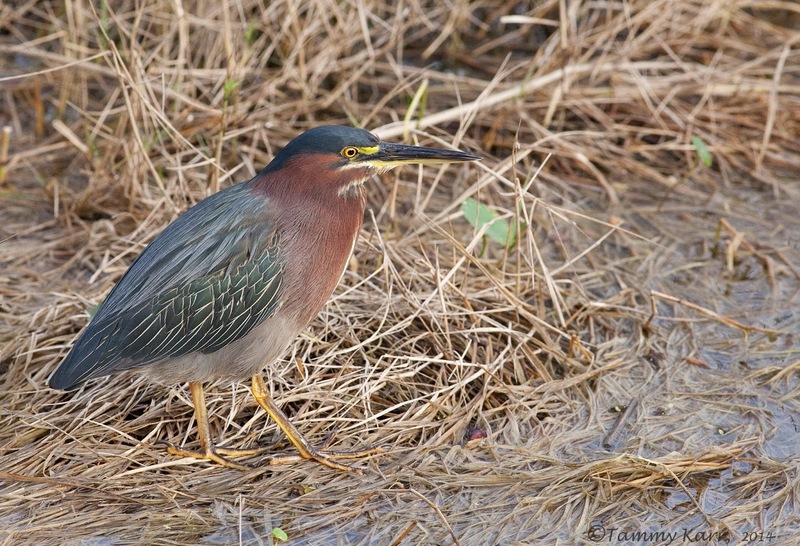 I have actually seen a Green Heron here in the UK. People from far and wide went to see it, its that rare. Yes you have done it again Tammy, gorgeous shots, the Eagle with a look that says all this is mine. One of these days I'll get to the wetlands -;) , and the mini birder has wheels, your on your own now Tammy. Sehr schöne Bilder von den Tieren und auch der kleine Helfer sehr schön. 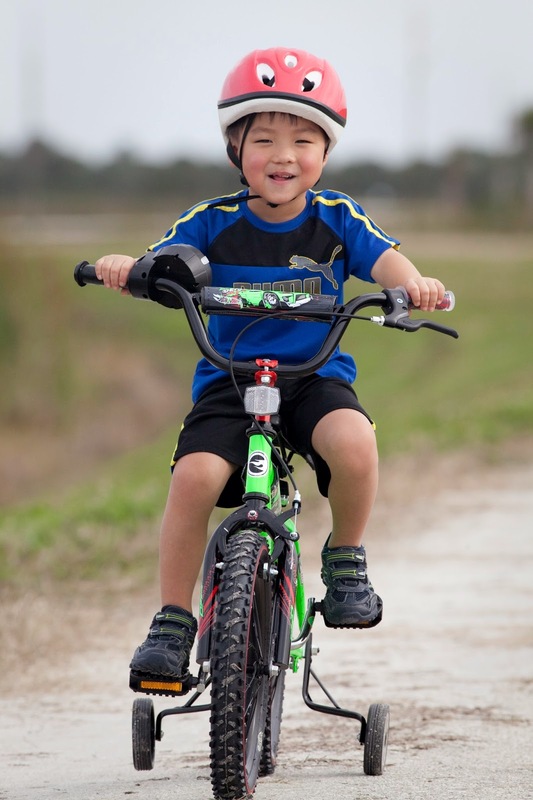 Oh look at your little sweetie riding the bike - adorable! Now you are going to have to keep up! 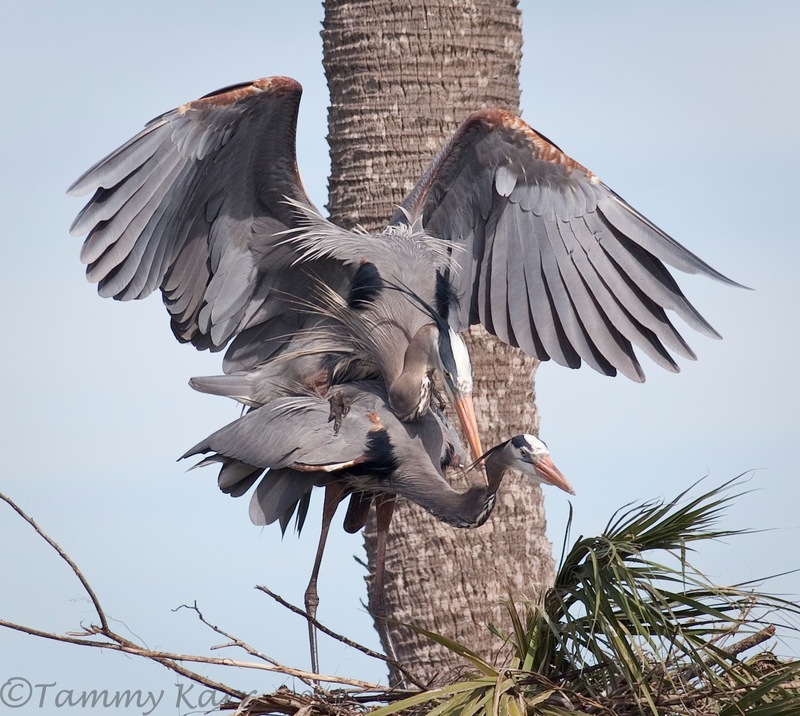 Excellent bird photos as always Tammy! Superb pictures of these mating herons and all the other species unseen where I am. 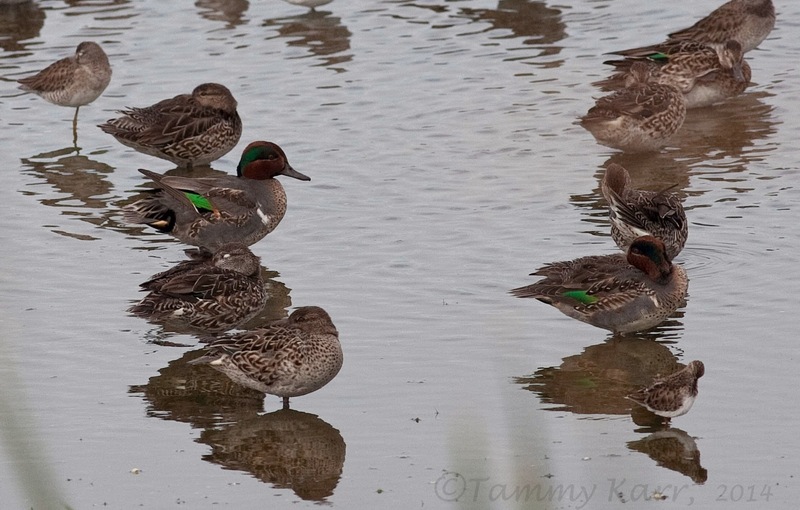 The teals are much like ours except these show a white band across the shoulder. I will publish males tonight. That heron plowfest is amazing. Good work. Amazing pictures of beautiful birds, it seems all of them were great in good technical quality. Nice set of pictures - I still struggle to get pictures of birds of prey. 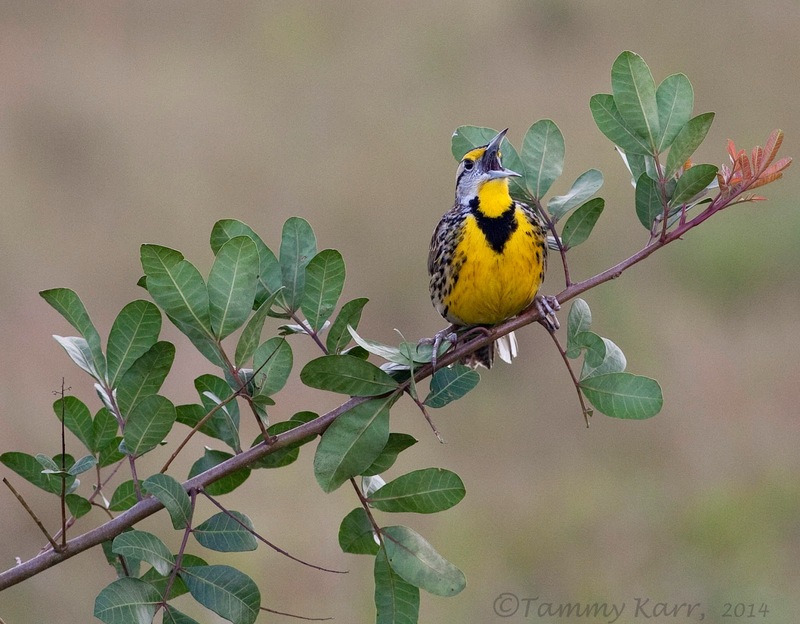 Do Meadow Larks do anything except sit on bush tops singing their hearts out? What a Place... is this in Everglades? Very nice shots on the Grey Heron Tammy. Impresionante Tammy, eres una fotógrafa espectaculoar, menudos trabajos. Wow!!! what a cool pictures!!! Beautiful as the blue herons are put on the plate and their positions. Razor sharp, bright and beautiful colors. Also your other vogtels are really worth a compliment. I enjoyed. Every time I view your spectacular posts, two things happen: I look at the calendar to see how soon I can go to Viera again; and I consider throwing away my camera after seeing your sparkling photographic work. Sigh. Wonderful post and that partner of yours is going places! Love these shots! Very sharp! May I ask! What lens, and camera for these photos? Hi Quynh, thank you for your comments! I use a Canon 5d Mark II and 400 mm 5.6 lens. 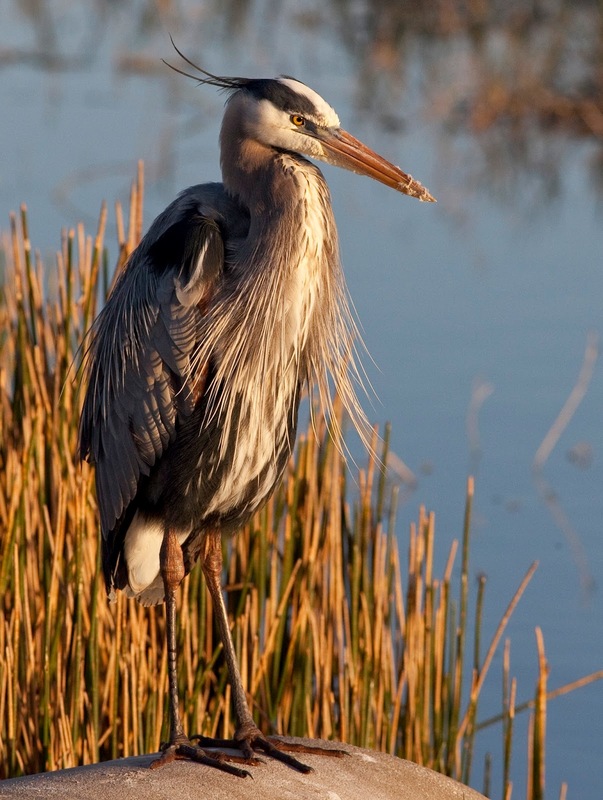 I really love that first heron photo! Wonderful lighting and really nice color palette.